I am still way behind on my nail polish posting, but posting little pictures of my eye of the day and doing makeup reviews is refreshing. It's made me feel somewhat recharged and more excited about blogging again. I still have to finish my OPI Switzerland swatches and I do feel kinda bad about not getting the Nubar Venetian Glass or Misa Mardi Gras collections posted yet, though. But I will. So. Anyway. Makeup. And I think I used Urban Decay Lash Primer Potion too but I can't remember for sure. The gold is really excellent. Like the silver it's soft, smooth, pigmented and very shiny/reflective. Perfect gold metallic. Very impressive. This is more of a yellow-warm gold, though, and while I do love this one I'd also like a lighter neutral gold too. Maybe they already have one, my local HIP displays are really disheveled and picked over. The other half of the duo is very nice with the gold, a perfect compliment. It's a... dark... I'm not sure... I want to say it's blackened green. It looks greenish, but mostly black. 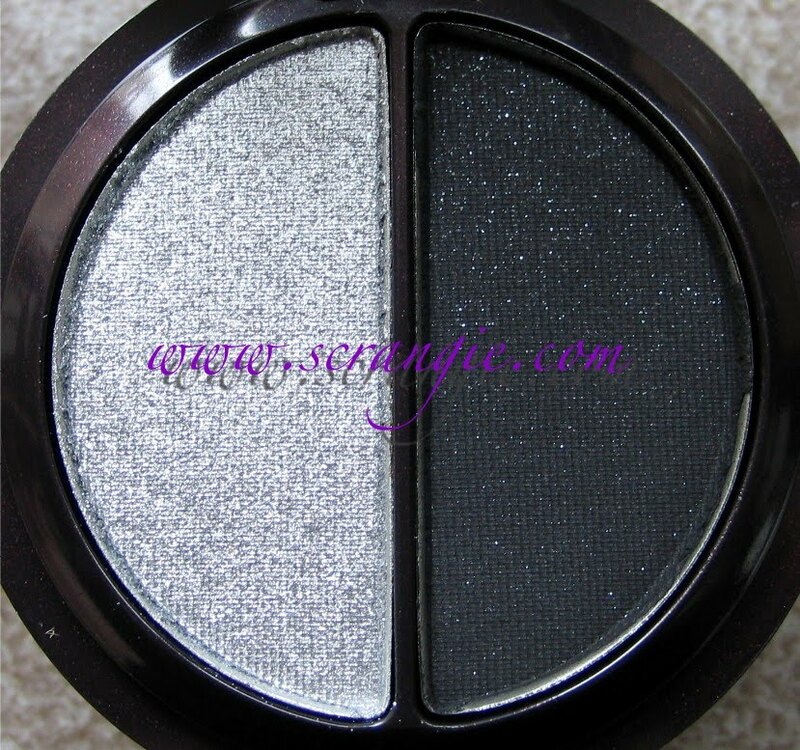 So a blackened green with little flecks of gold shimmer. Very pretty. The gold flecks don't show up that well, though. Charged, which is fecking AMAZING. 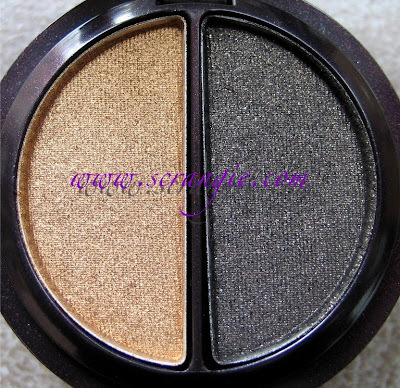 It reminds me a little bit of one of my favorite shadow duos of all time- MAC Heat/Element. This is different, but also... better. 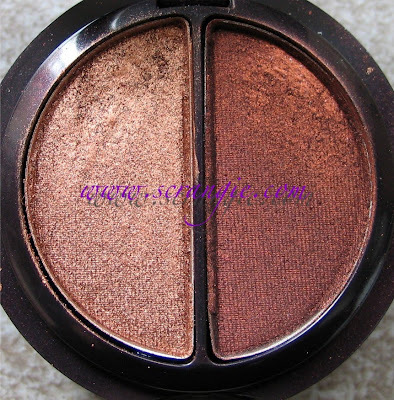 The copper is so shiny and perfect and the darker rust shade is absolutely perfect with it, it reminds me of Fyrinnae Fire Opal a little because it has a smoky deep base with glints of metallic red/copper gleaming through. Darling. I haven't used this one yet. I tried to use a little of the lighter shade the other day but it didn't seems as nice or silky like the other ones. It seemed a little hard and flaky. When I do use this I'll report back. Gilded, which is what I used. Perfection. I think I posted a picture of the Electrified duo already. That one rocks too. I took this picture in blinding sunlight and I thought it turned out kind of cool. I'm in the process of blinking, kinda goofy but I think it looks neat. I'm thinking Nijiro is a little to light and frosty for a highlight color for me. Must experiment more. 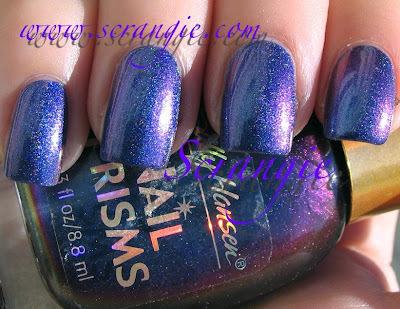 It's one coat of Sally Hansen Nail Prisms in Garnet Lapis over OPI Designer Series Glamour. It's a holo-duochrome! This looks really amazing in real life, you have to try it. Layer any sheer duochrome (Sally Hansen Nail Prisms and Ozotic duochromes are perfect for this) over a nice strong holo polish. Mesmerizing. Too bad I couldn't catch more of the duochrome (and yes, 'duochrome' is used loosely) effect in my pictures. 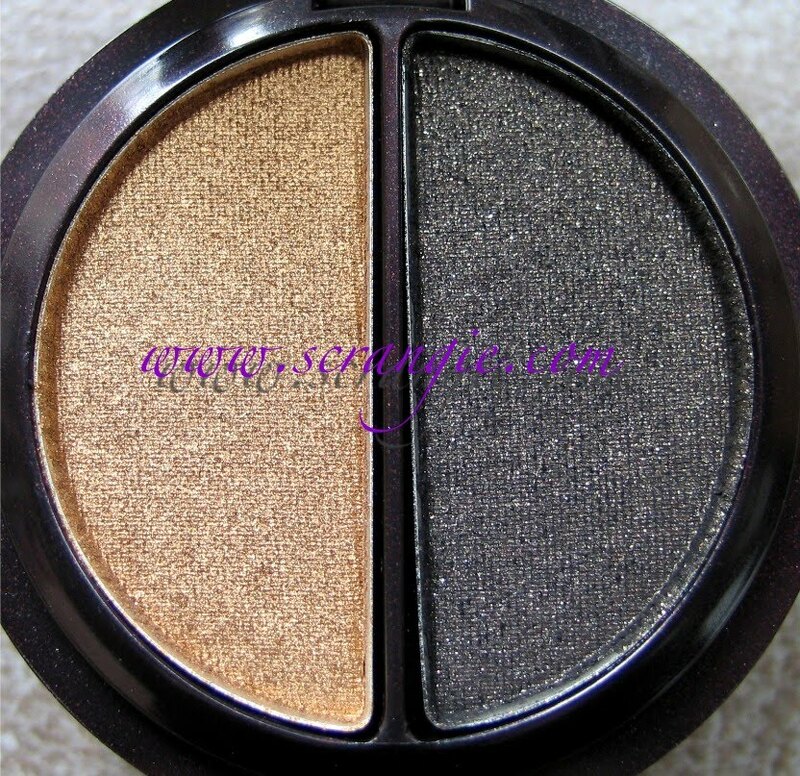 Darling and Charged are wonderful duos, specially for those who have brown eyes like us! I like how there is a golden/orange reflect through all the colors, tying them in together. STFU is a good liner on you, too. I used to have all the Sally Hansen nail prisms, but I threw out most of them when they dried out, not realizing they could be revitalized! you've totally sold me on the Hip duos. going shopping! I also love Heat Element! Crazy blinding gold! 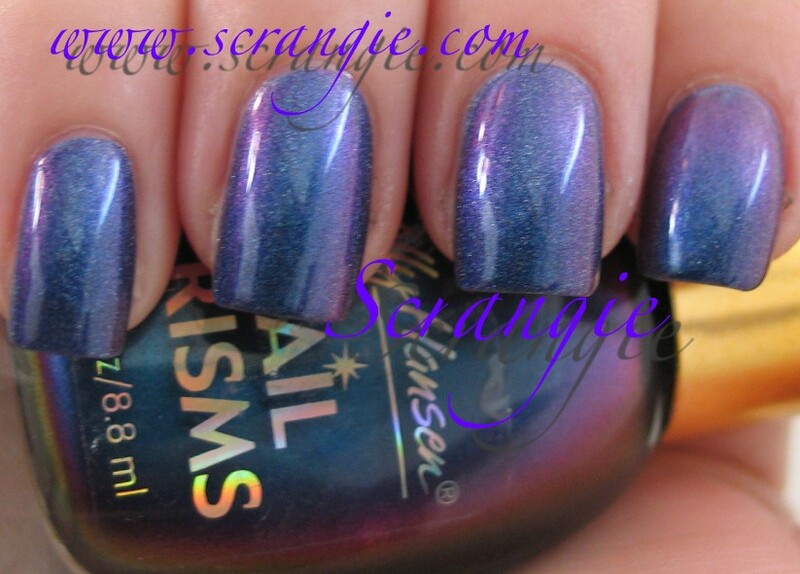 Wow, I never thought of layering holos and duochromes! Also, those HIP duos look amazing. I love your lashes! Dying tube of LashBlast or not, they look great! I love your makeup posts to so do what you like, not what you feel obligated to do. That platinum HIP duo looks awesome, I might have to go check it out at Walgreens. I love your makeup posts just as much as the nail posts. You could be talking about what you did today and I'd still read it. Ah I love the gold makeup looks that you've done. And I think I have that Nail Prisms polish..same color..but it does not look like that anymore..haha! I just keep shaking and shaking. The bottom part of the bottle is kind of black and the top is blue...weird? It's pretty old, but how old I don't know. Lovely combinations of eye shadows. Beautiful eye makeup look. I'm sold on thos HIP shadows. 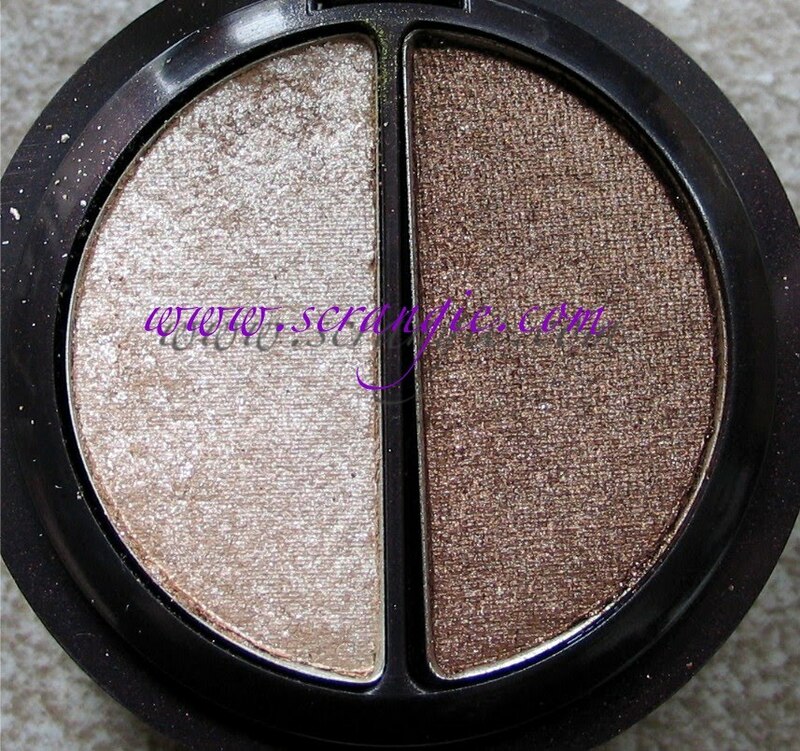 Just what I need more eye makeup! Thanks for the idea for using the nail prism. Very pretty. I'm a recovering makeup addict and I haven't had a genuine lemming in a long time, but now that my favourite polish blogger is posting gorgeous makeup photos... this could be very, very dangerous. I started reading last year for your nail polish pictures, but I really have been enjoying your make up posts as well! And I barely wear any make up. But I love seeing the combinations you come up with, they're so creative and lovely! The MU is to die for! Its funny that I saw those NOTD pictures today. I literally just finished painting my nails and while I didnt put a sheer duochrome over a holo, I did put a pale lilac/pinkish sheer duochrome over a dark purple creme, and boy does it look similar to your NOTD pic! Coincidence.